Recent Current Affairs for NDA and CDS in English. In a prestigious acquisition of Indian film music memorabilia, a century-old Schiedmayer piano belonging to music director Shankar of the legendary Shankar-Jaikishan duo has made its way to the vaults of the National Film Archives of India (NFAI) in Pune. The First World War-era piano, manufactured in Stuttgart, Germany, is believed to have played a major role in the music composed by Shankar. It was presented to the NFAI by Shankar’s grandson Santosh Kumar, said NFAI director Prakash Magdum. Shankar and Jaikishan blended western musical instruments with Indian instruments to produce melodies like ‘Ajeeb daastan hain yeh’ (from Dil Apna Aur Preet Parai, 1960) and Shammi Kapoor hits such as An Evening in Paris (1967). The Airports Authority of India (AAI) has dropped the proposed water aerodrome project at Chilika Lake in Odisha, according to a senior official. Susanta Nanda, Chief Executive of the Chilika Development Authority (CDA), told reporters on Monday that the AAI has cancelled the seaplane project in the lake which, if implemented, would have negatively impacted the ecosystem and the surrounding human population at the world’s second largest brackish water lake. The AAI has decided to shelve the project following stiff opposition from environmentalists and the CDA, according to Mr. Nanda. The Odisha government has been informed by the aviation body about the decision, the officer said. Earlier, the CDA in its report to the State government had said the water aerodrome project would seriously jeopardise the habitat of Chilika’s nearly one million avian visitors which come from the Arctic and Eurasian regions. Recent current affairs 2018, Get Daily updates on current affairs. Bihar Chief Minister Nitish Kumar Tuesday flagged off a bus service between India and Nepal to facilitate better connectivity between important destinations of the two neighbouring countries. The Bihar State Road Transport Corporation-run buses would ply between Bodhgaya and Kathmandu and Patna and Janakpur. Considered a “topmost secret project”, a lot of confidentiality is being maintained in executing the project costing about ₹750 crore. It will be named after its induction into the Navy. For now, it is simply referred as VC 11184.
he ship was built inside the covered dry dock. It has the capacity to carry 300-strong crew with hi-tech gadgets and communication equipment, powered by two diesel engines, and a large deck capable of helicopter landing. HSL, set up in 1941, achieved a total income of ₹651.67 crore and a value of production of ₹644.78 crore during 2017-18, the highest since inception. It is poised to get orders for construction of five fleet support ships costing ₹9,000 crore and finalise request for proposal for design collaborator for construction of two Special Operation Vessels called mini submarines. It is also banking on the order for medium refit of Russia-made third Sindhughosh class submarine INS Sindhuratna for which it has submitted technical bids. Study and get information on recent current affairs 2018. The Army is considering a proposal to increase the retirement and pensionable age of jawans in service from the current 15 years to 20 years in a phased manner. This will have a major impact as Other Ranks (OR) constitute most of the rank and file of the 1.3 million army. As of now Jawans and Lance Naiks retire after 15 years of service, which is also the pensionable service limit with the option of a two year extension. The idea is to increase the pensionable service limit in phases to 20 years as the life expectancy has gone up in general since independence and soldiers retire relatively young, a defence official said. This will serve the dual benefit of giving longer tenure in service for soldiers while reducing the pension burden for the Army. On Tuesday, Army Chief General Bipin Rawat held a meeting with the seven Army Commanders to review the progress of the four studies being currently undertaken on Army transformation. The studies by separate groups of 7 to 8 officers each will look into the restructuring of the Army headquarters; force restructuring, which includes cutting down the strength; cadre review of officers and review of terms and conditions of Junior Commissioned Officers (JCO) and Other Ranks (OR). The Army is facing an increasing burden of revenue expenditure and pensions, leaving very little funds for new purchases and modernisation. In this year’s Defence Budget, the Army’s share was ₹1,28,076 crore for revenue stream, while ₹26,688 crore was the capital allocation. This does not include pensions. The current revenue to capital ratio is around 83:17. “While the ideal ratio is 60:40, the target is 65:35 which itself will be a great achievement,” another defence source said. 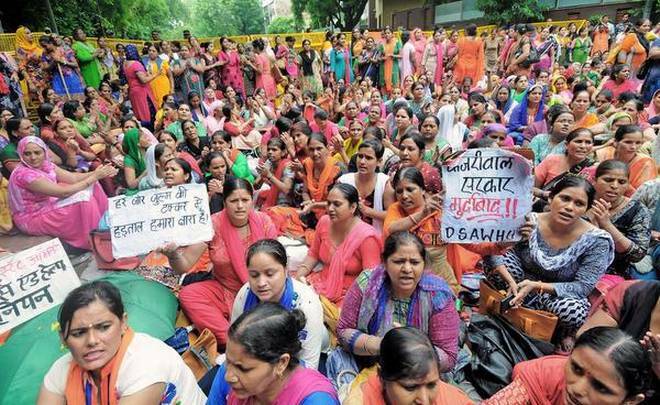 Prime Minister Narendra Modi has announced an increase in the remuneration for Accredited Social Health Activists (ASHA) and anganwadi workers. The performance-based incentives given to ASHAs have been doubled. They will also be provided free insurance cover under the Pradhan Mantri Jeevan Jyoti Bima Yojana and the Prime Minister Suraksha Bima Yojana. Similarly, anganwadi workers will receive an enhanced honorarium, which has gone up from ₹3,000 to ₹4,500 and workers at mini-anganwadis will receive ₹3,500 instead of ₹2,200. This refers to a market where there are no barriers to the entry and exit of firms. This makes it hard for existing firms in the market to consistently earn high profits as new firms can freely enter the market and compete against them. By ramping up production, new firms increase the total supply of goods available to consumers in the market, thus causing prices to fall. They also bid up the price of inputs, causing the cost of production to rise. Contestable markets, however, are usually rare in the real world either due to government regulations preventing the entry of new firms or the presence of a natural monopoly in an industry. 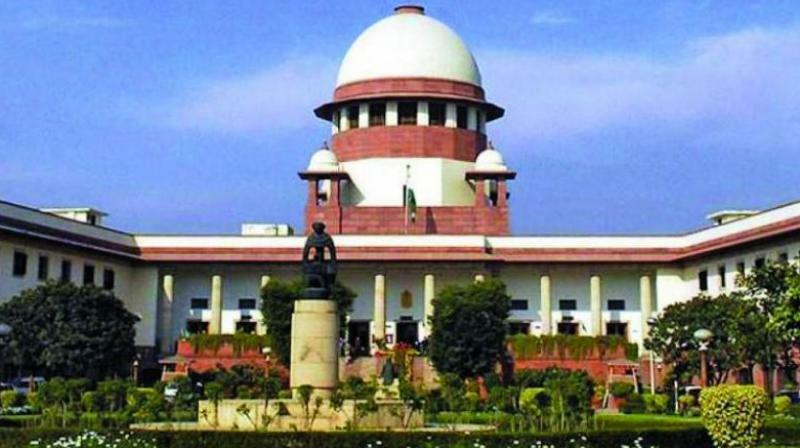 The Centre on Tuesday informed the Supreme Court that 12 special courts have been set up across 11 States exclusively to try sitting MPs and MLAs. Delhi has two such courts, while Andhra Pradesh, Telangana, Karnataka, Kerala, Tamil Nadu, Uttar Pradesh, Bihar, West Bengal, Maharashtra and Madhya Pradesh have one each. Six are sessions courts and five are magisterial courts. “The class of court in Tamil Nadu is not indicated,” the Centre’s affidavit said. The special court in each State would have jurisdiction over the entire State, while the two in Delhi would cover cases within the precincts of Delhi or “partly Delhi”. The Supreme Court had on December 14, 2017 ordered that special courts be set up across the country to fast-track the long-pending trials of lawmakers. These courts would devote themselves for the purpose. The Centre said 1,233 cases had been transferred, 136 disposed of and 1,097 cases were pending in these special courts. Pursuant to the Supreme Court directive, the Election Commission has withdrawn the provision for the NOTA option for elections to the Rajya Sabha and the State Legislative Council. The SC had on August 21 directed that the option not be made applicable for polls to the Council of States. Nepal and Thailand back out from sending full contingents. On Tuesday, Nepal also conveyed that its Army Chief would not be able to attend the Chiefs’ conclave at the exercise. Nepal, which had initially confirmed a full contingent, pulled out in the last minute and instead sent three observers. General Purna Chandra took charge as the Chief of Nepal Army on Sunday. The exercises were proposed by Prime Minister Narendra Modi during his speech at the BIMSTEC summit in Kathmandu last month that brought together leaders of India, Nepal, Bangladesh, Bhutan, Sri Lanka from South Asia and Myanmar, and Thailand. Interestingly, Nepal is scheduled to hold its second military exercise with China next week. Thailand, which was the last to confirm its participation in the exercise, conveyed that it could only send observers. The MILEX 18 exercise, being held from September 10 to 16 at the Aundh Military Station in Pune, is aimed at helping BIMSTEC nations practise “planning and conduct of counter terrorist operations”. Each country was asked to send a contingent of 30 personnel including five officers and 25 soldiers in addition to three observers. Recent current affairs for NDA and CDS by The Tutors Academy. The leaders of Ethiopia and Eritrea re-opened crossing points on their shared border for the first time in 20 years on Tuesday, cementing a stunning reconciliation and giving Addis Ababa a direct route to its former foe’s Red Sea ports. War over their border, which began in 1998, killed an estimated 80,000 people before fighting ended in 2000. Kulsoom Nawaz, the wife of jailed former Pakistan Prime Minister Nawaz Sharif, died of cancer in London on Tuesday. Ms. Nawaz was diagnosed with lymphoma in August last year. Pakistani media reported that she had been put on life support earlier in the day. The government on Tuesday mandated that issue of further shares and transfer of all shares by unlisted public companies should be only in demat form beginning October 2. This was notified by the Ministry of Corporate Affairs. “The rules in this regard have been amended accordingly,” an official statement said. According to the government, the move would help eliminate risks associated with physical certificates such as loss, theft, mutilation and fraud. Additionally, this would improve the corporate governance system by increasing transparency and preventing malpractices such as benami shareholding, it said. Google will unveil its ‘Neighbourly’ app, to five more Indian cities. People in Ahmedabad, Coimbatore, Mysore, Vizag, and Kota, will now get access to the app. 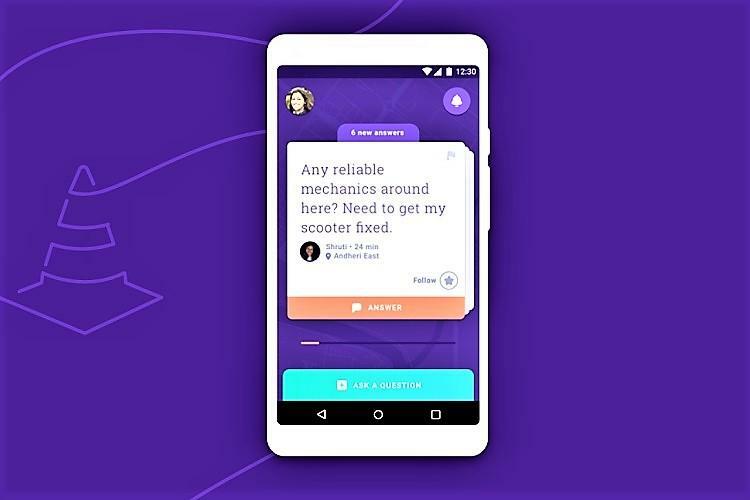 The app, which was earlier unveiled in Mumbai and Jaipur, helps users find answers to all types of questions such as shopping, fitness, food and tuition centres. Google said the launch follows extensive user testing done in the past several months. Gurnihal Singh Garcha shot the final on par with the best but had to settle for junior men’s bronze as he had qualified in the sixth place in the 52nd World Shooting Championship here in on Tuesday. Gurnihal also helped the Indian team to the silver medal along with Ayush Rudraraju (119) who had tied for the sixth spot in qualification but placed seventh as he lost the shoot-off, and Anant Jeet Singh Naruka (117). Justice Mukul Mudgal, who headed the Supreme Court-appointed probe into the 2013 IPL spot-fixing scandal, has been named chairman of the 11-member selection committee to pick this year’s Dronacharya and Dhyan Chand awardees. The selection committee features former CWG gold-winning shooter Samresh Jung, shuttler Ashwini Ponnappa, boxing coach G.S. Sandhu, hockey coach A.K. Bansal, archery coach Sanjeeva Singh, SAI Special DG Onkar Kedia, Joint Secretary (Sports) Inder Dhamija, two sports journalists and TOPS CEO Rajesh Rajagopalan. Meaning – Decide not to proceed with (a project or plan), either temporarily or permanently. Get Daily, recent current affairs in English 2018, And prepare for NDA, CDS, and AirForce examination with The Tutors Academy.